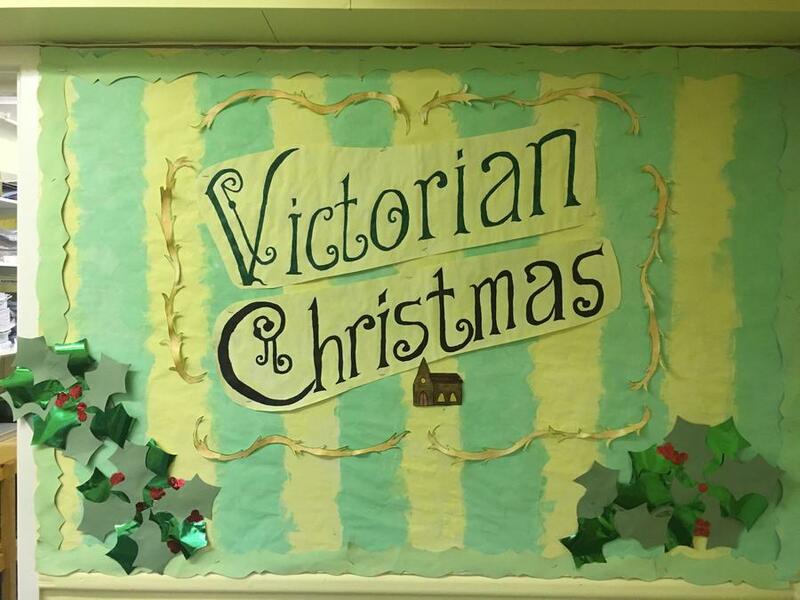 The Christmas House day theme was a ‘Victorian Christmas’. 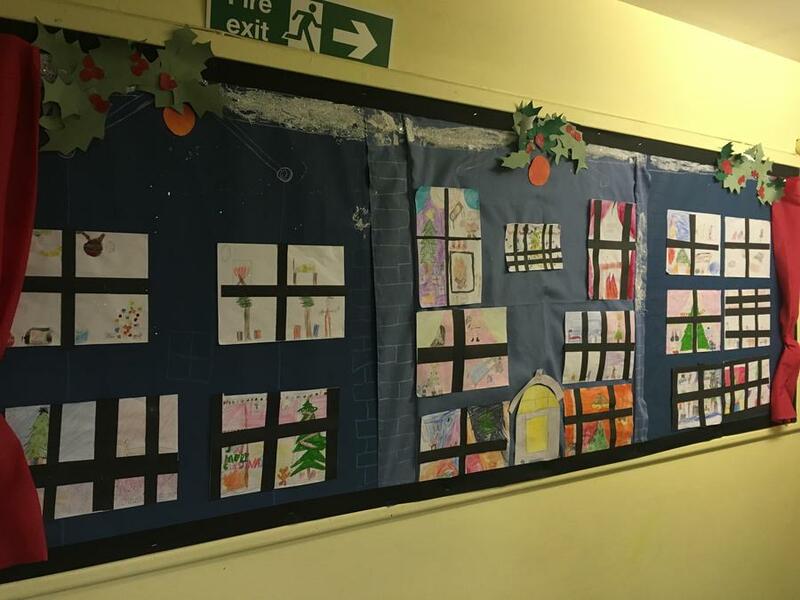 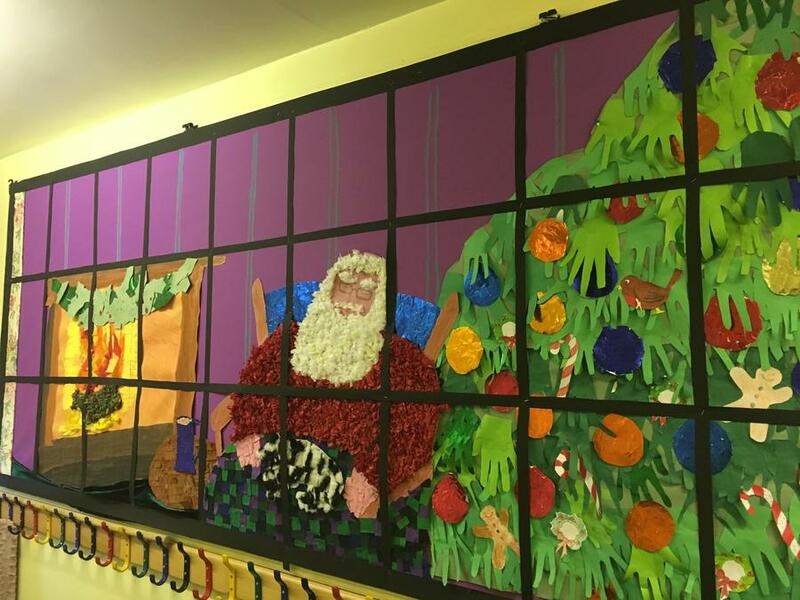 We created corridor Christmas displays and decorations reflecting our one hundred and fifty year celebrations. 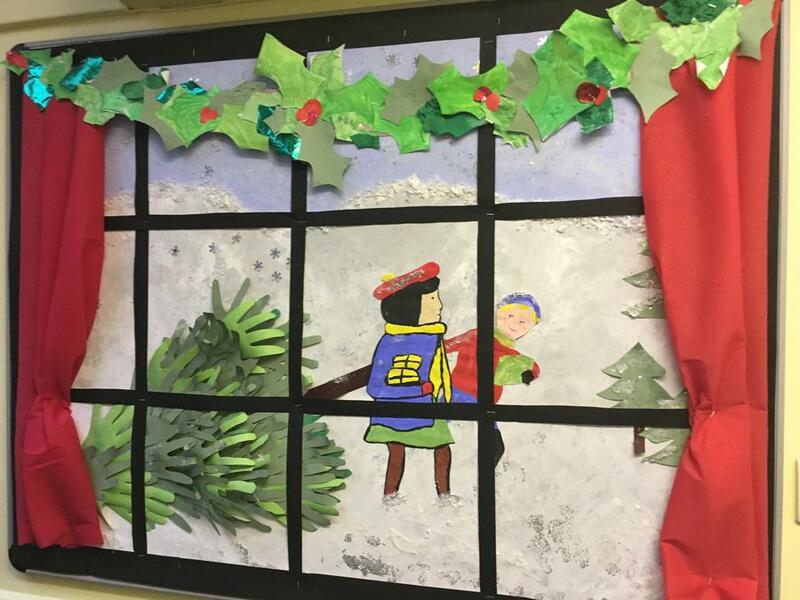 Some of the displays are windows, either looking in or out, using Victorian Christmas Cards as the stimulus. 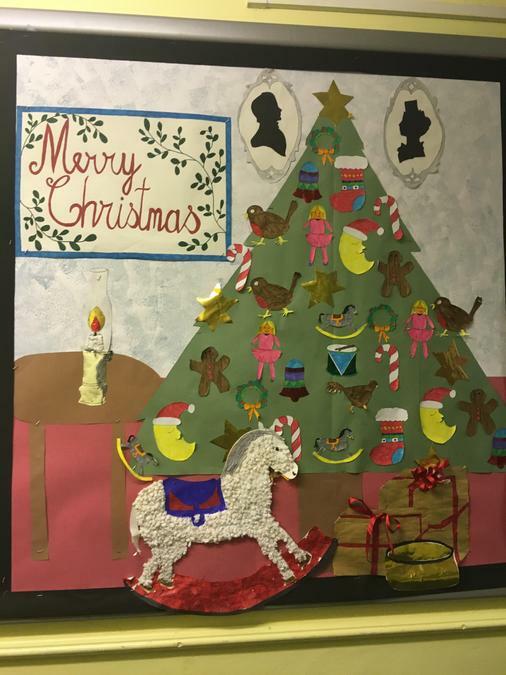 They start looking outside, at ice skaters and a winter scene, a boy and girl then walk by with their first Christmas tree (inspired by Prince Albert). 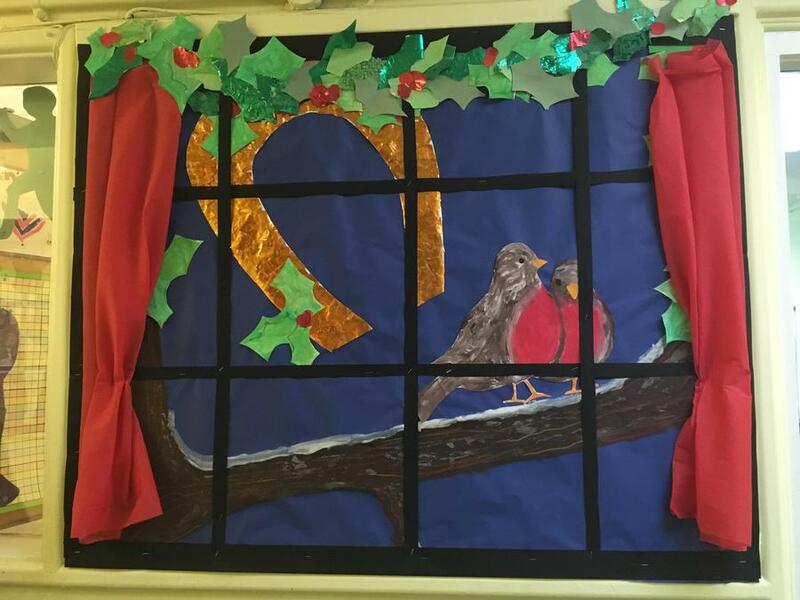 Next we focus on a Christmas robin, singing among some holly leaves. 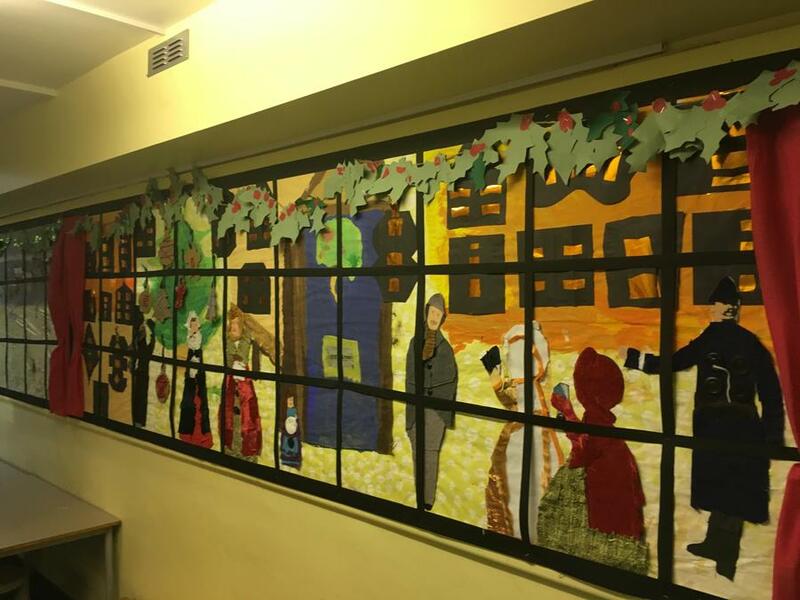 Victorian carol singers are next, singing in a Victorian street. 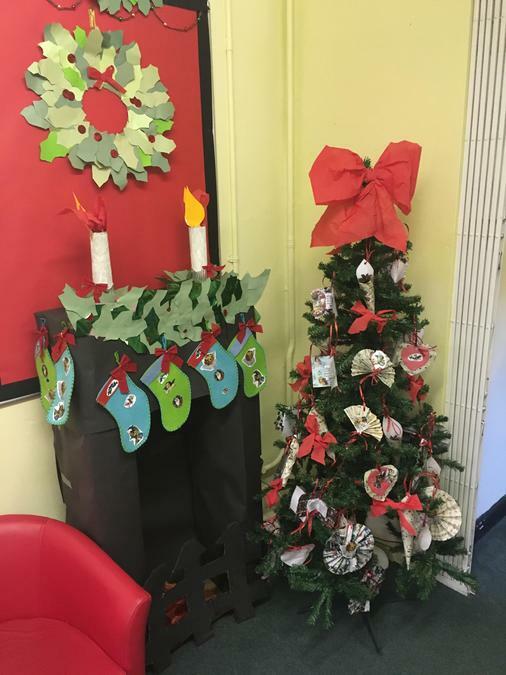 Around the corner, our elves are hard at work, ready for Father Christmas to bring the toys to go under of Christmas tree, decorated with Victorian decorations (of course) alongside a traditional fire place. 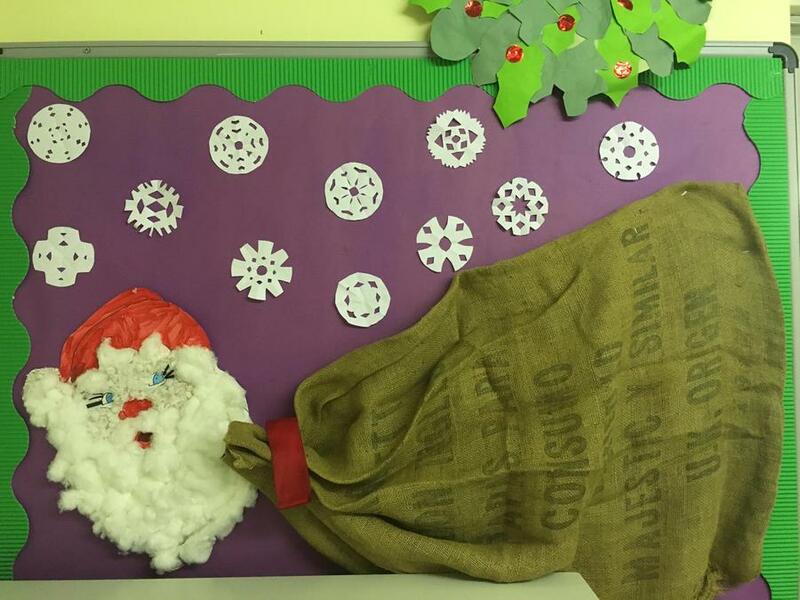 At the end of our journey, the toys are under the tree, ready to be opened and Father Christmas is having a well deserved rest. 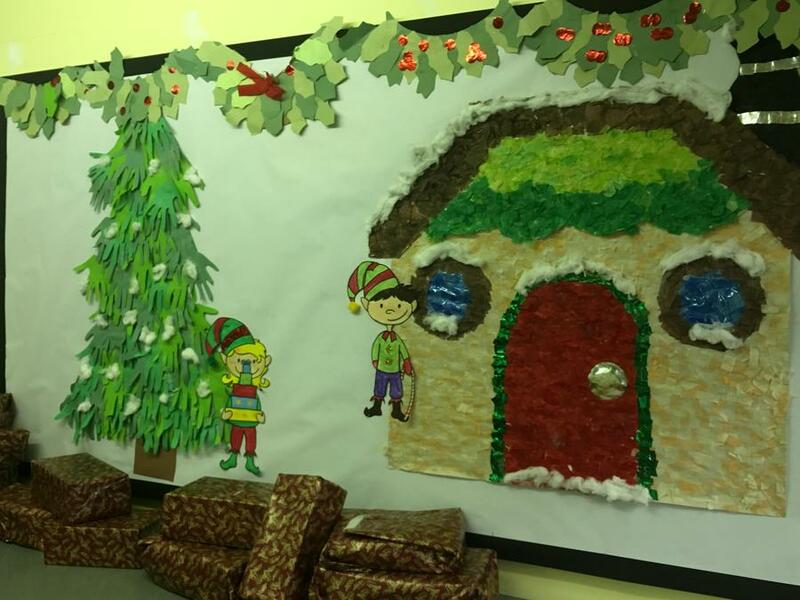 The children created the art work in mixed age groups in the day and after school, the teachers worked hard to get them up for the children to see. 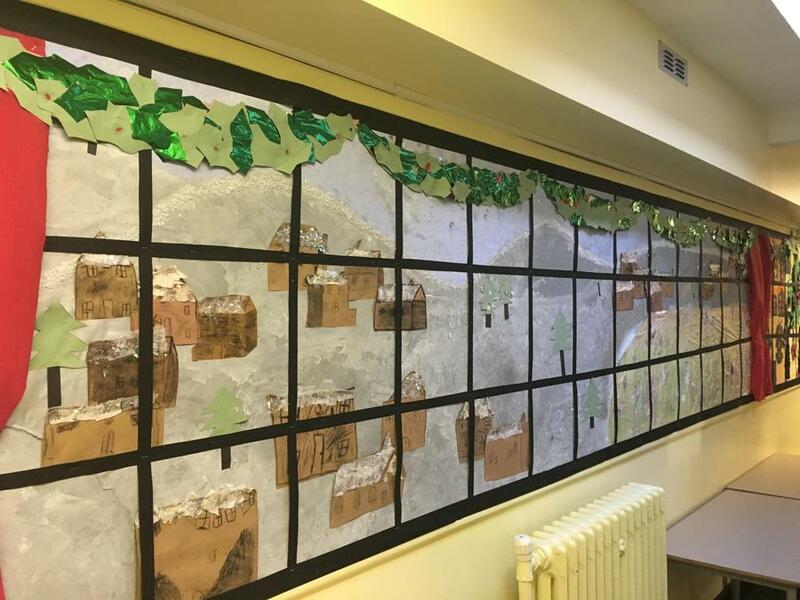 The following morning it was a joy to hear the children, ‘wow’ was a common expression with children pointing out to their friends which bit they created.